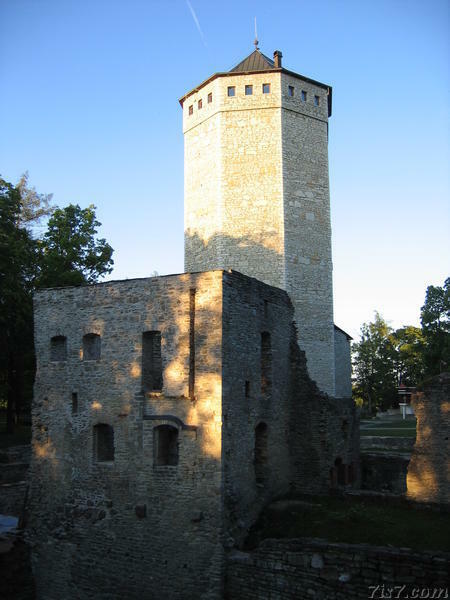 The octogonal rampart tower of Paide had become a symbol of the town. In 1941 it was destroyed by Soviet troops, but was reconstructed by 1993. Originally a fortress of the Livonian Order, it was here that the 4 Estonian Kings who led the St. George's day uprising in 1343 where killed while negotiating with the Livonian Order. Location: 58°53'22"N 25°34'20"E on: Google Maps, OpenStreetMap, Maa Amet.